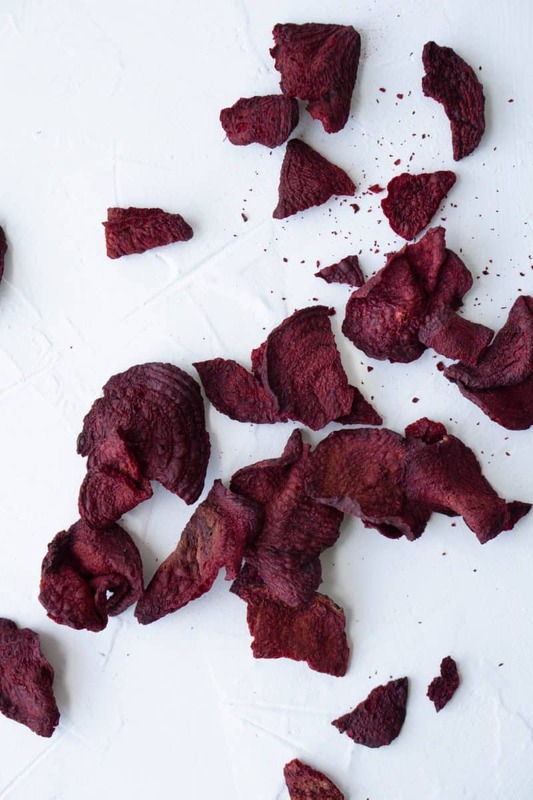 Now don’t run away simply because this recipe has beets. Just hear me out. 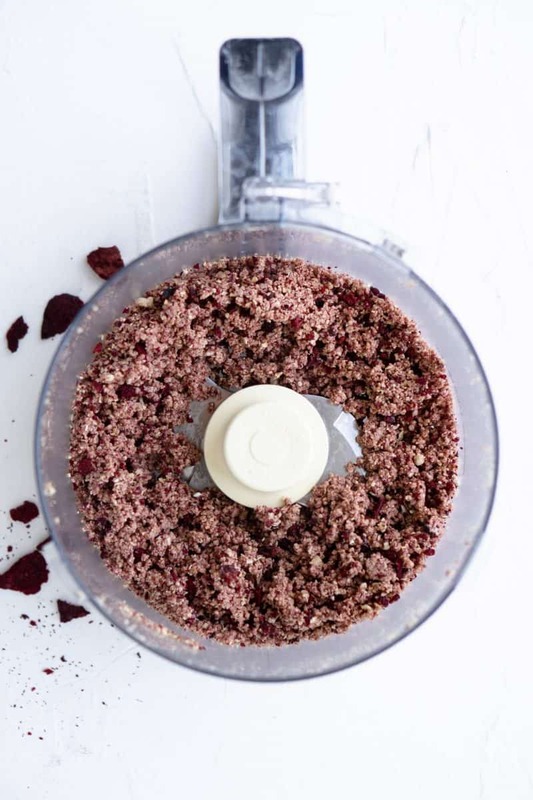 Beets have been shown to be a good pre AND post workout fuel because they help increase blood circulation, oxygen consumption, and are anti-inflammatory. The quickest way to consume them is drinking a beet juice, but I figure this is a good plan too. As I remind you in every recipe, I’m a big fan of quickness and convenience. This recipe has 4 ingredients, is ready in minutes, and is probably the quickest thing you’ll do all day. Just toss them in the fridge and grab some before you head out the door. If you absolutely abhor beets, I do warn you that you can taste them, although it’s not overpowering at all. If you really want to mask the taste, try choosing a flavorful nut butter like peanut butter over milder ones such as almond or cashew. You can also try adding a little more honey, but don’t go overboard. I got 12 balls out of this recipe, so if you’re looking for more, just double it up! Enjoy! 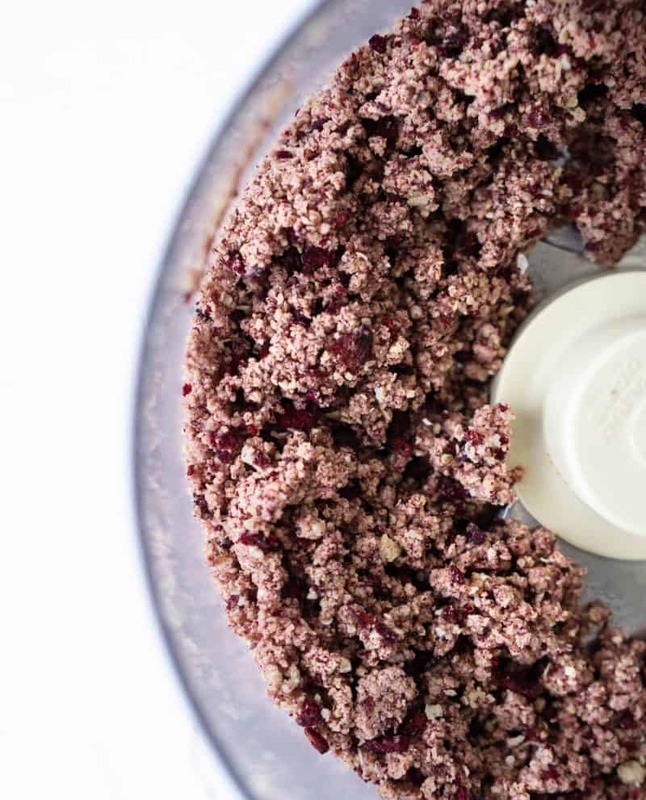 Add all ingredients into a food processor and pulse until mixture is combined and tacky. Put bowl in the freezer for 10-15 min. 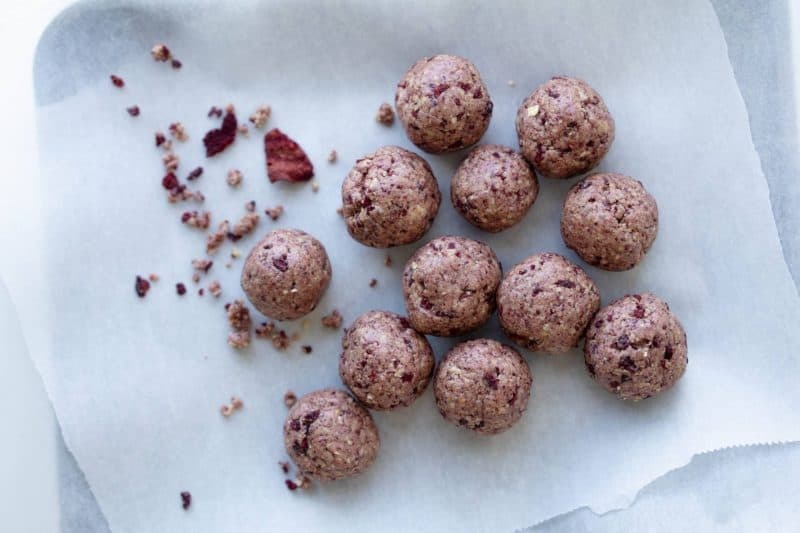 Roll mixture into small balls and store in the refrigerator. Looking for a quick healthy snack before or after the gym? 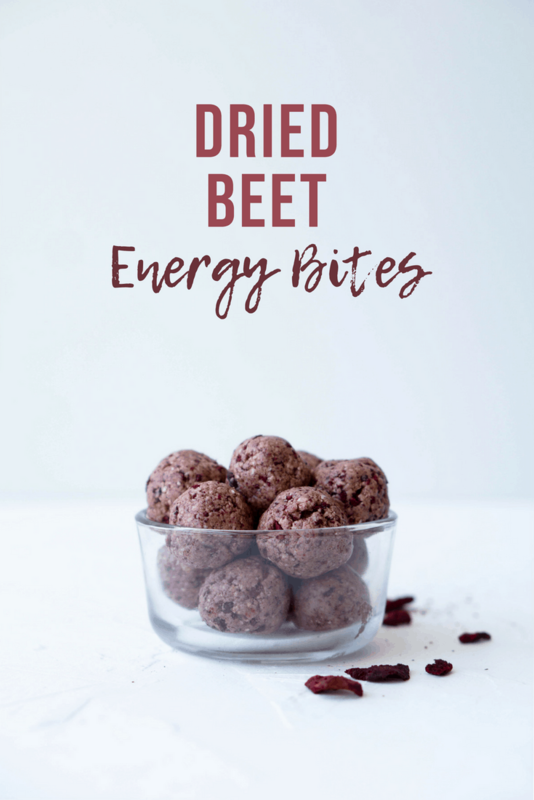 Try these dried beet energy bites!